With the numbers multiplying rapidly from London to Tokyo, experts race to control the disease and create a potential vaccine. However, public panic and paranoia are spreading equally fast, bringing social breakdown that adds to the devastation. 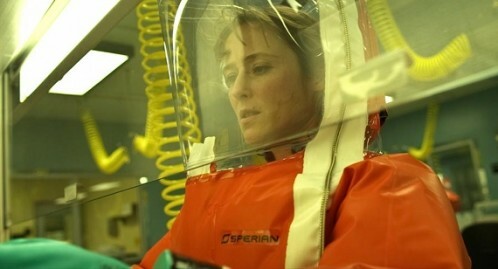 Fascinating Fact: World-class experts in infectious disease shared their expertise and research to ensure that the film was solidly grounded in reality – meaning that while the virus in the feature is fictional, it is apparently “biologically possible”. Grace (played by Wizards of Waverley Place star, Selena Gomez) has saved for years to pay for a dream trip to Paris. So when she finally arrives, with her friends Emma and Meg in tow, she’s disappointed to find a squalid hotel room and weather that’s far from idyllic. Things take a turn for the better when she is mistaken for wealthy British heiress Cornelia Winthrop-Scott and begins leading the life of a princess – especially once handsome Theo arrives on the scene. This is a daft, cheerful, mistaken identity caper with lashings of glamour and romance. The spunky heroine of Megan McDonald’s books is looking forward to a “thrilladelic” summer with her best friends when she suddenly finds herself facing a lonely holiday with only her younger brother Stink for company. Enter wacky Aunt Opal, dead set on making this the best summer ever for her young charge. But will moody Judy let her…? 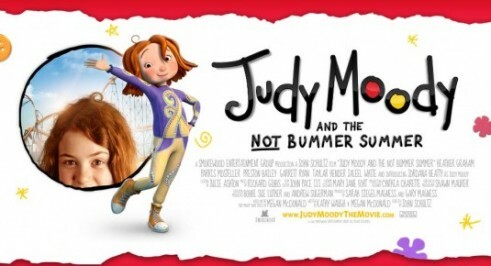 Those not familiar with the flame haired (and fiery-tempered) Judy won’t be too out of step with this, it’s pretty universal stuff: irritating younger siblings, the fear of dull holidays and the joy of a batty relative intent on cheering you up. Good, if forgettable, fun.